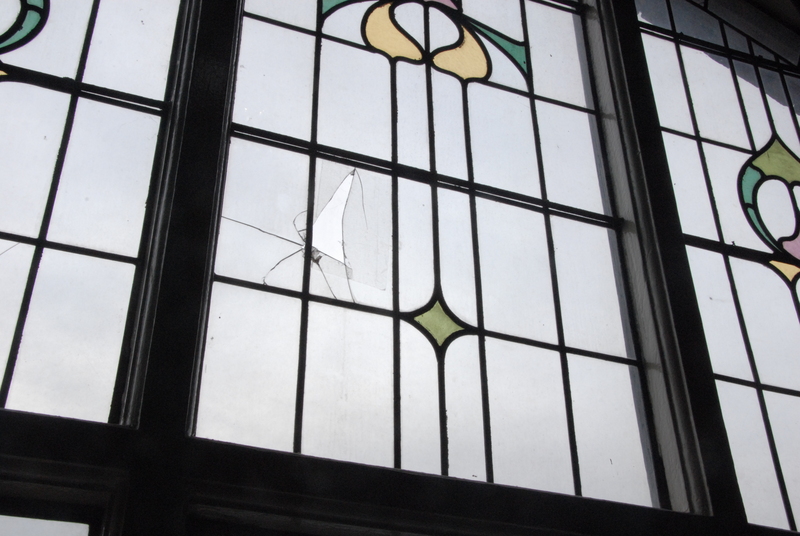 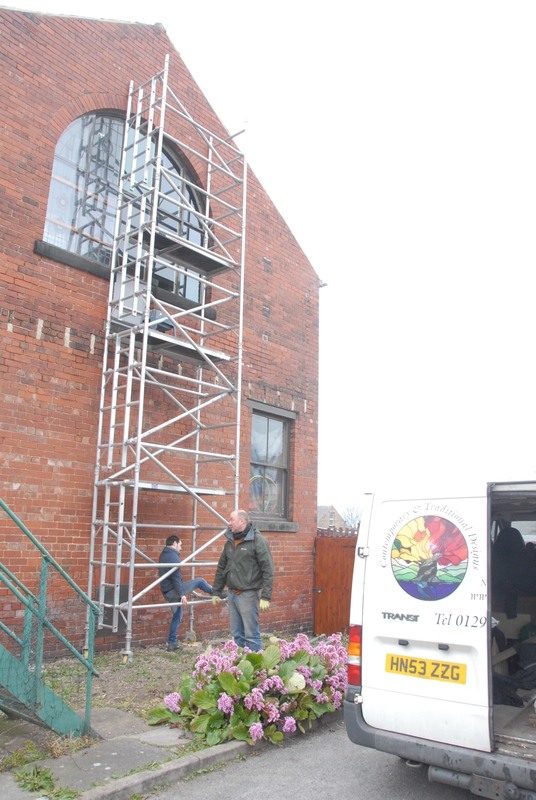 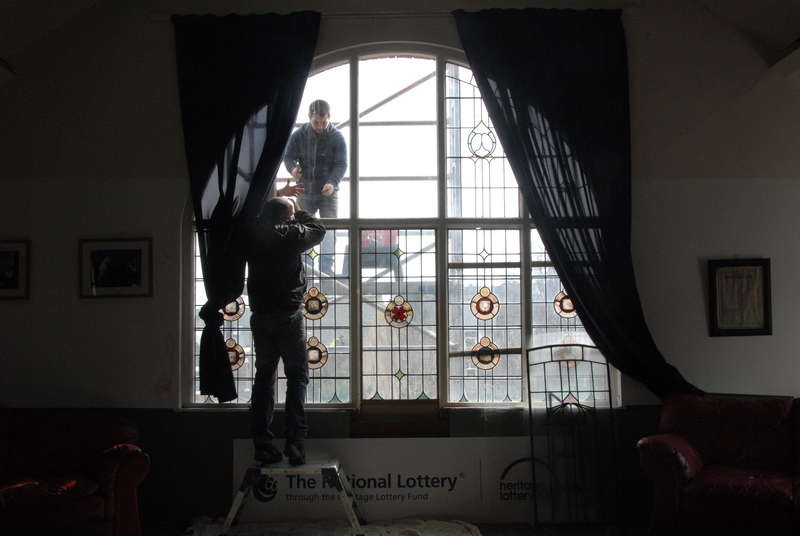 Watch a video and see photographs as Classic Glass discuss removal and renovation of Walkley Community Centre’s First World War stained-glass memorial windows. 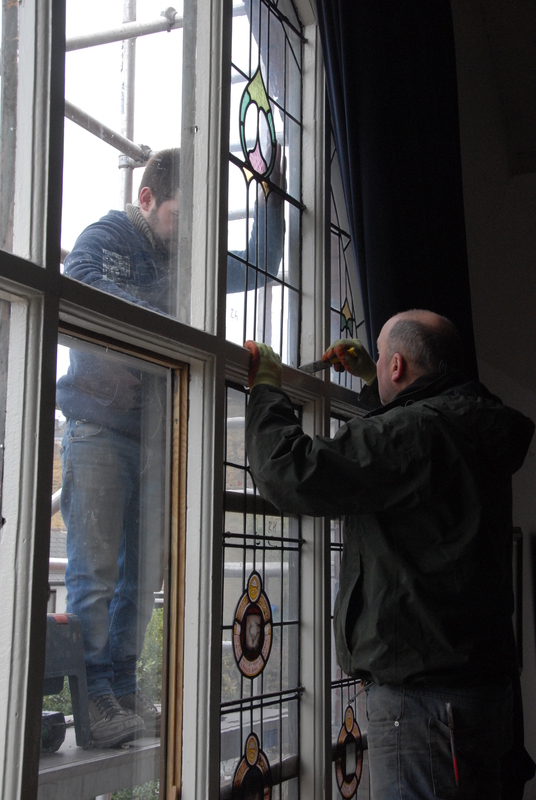 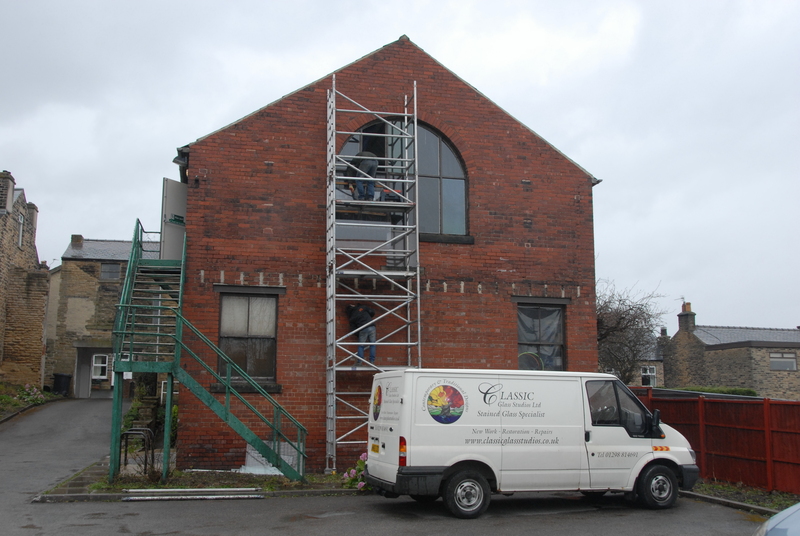 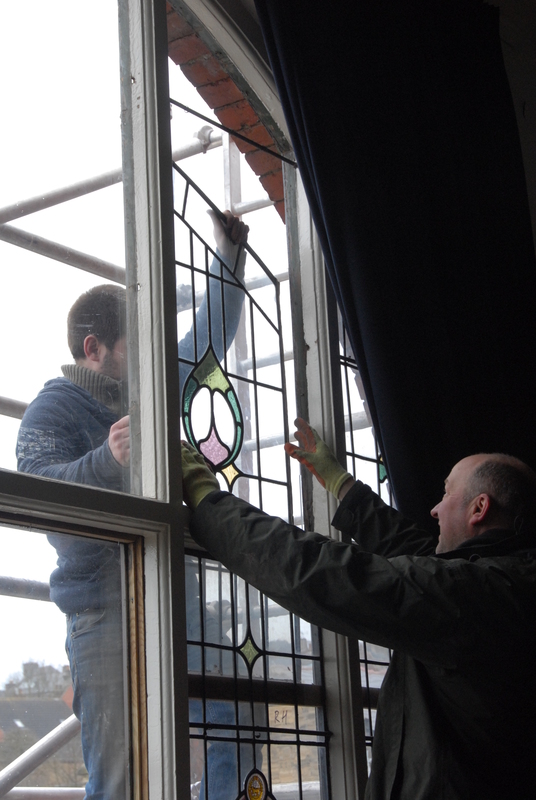 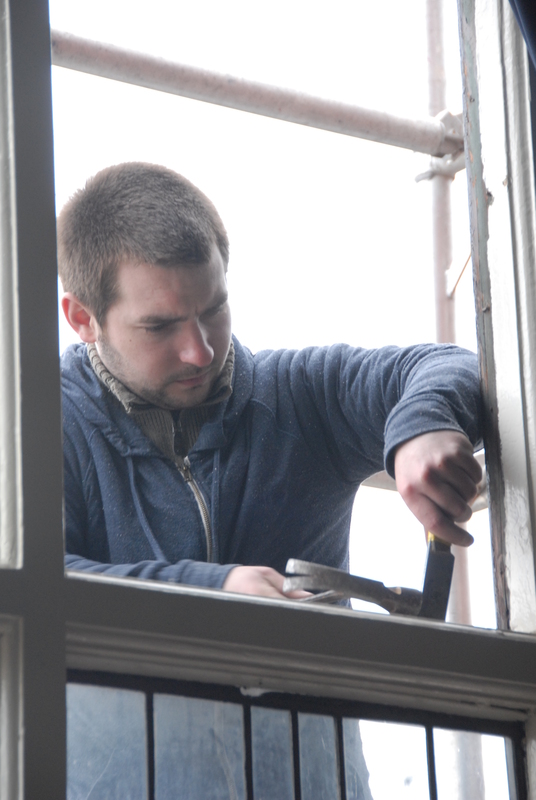 The windows were taken out for conservation on the 20th March 2014. 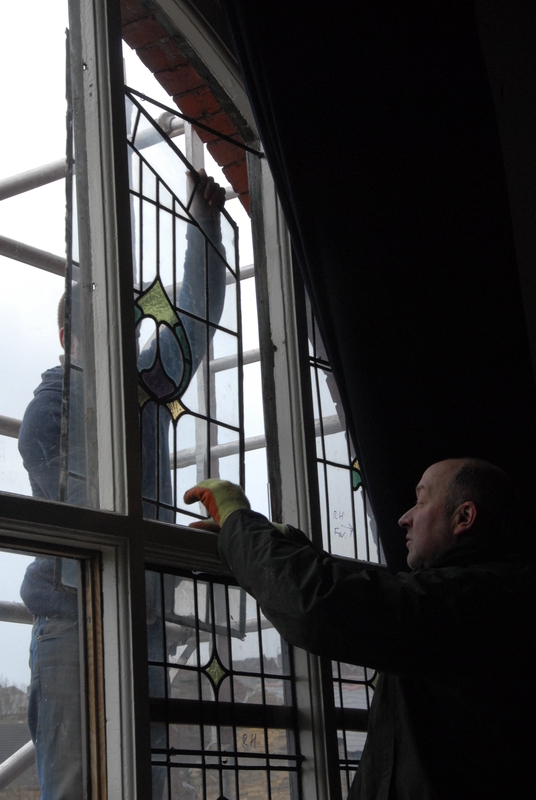 Over the next few weeks the windows will be cleaned, the lead cames and broken panes replaced and new photographs inserted into the centre of each memorial. 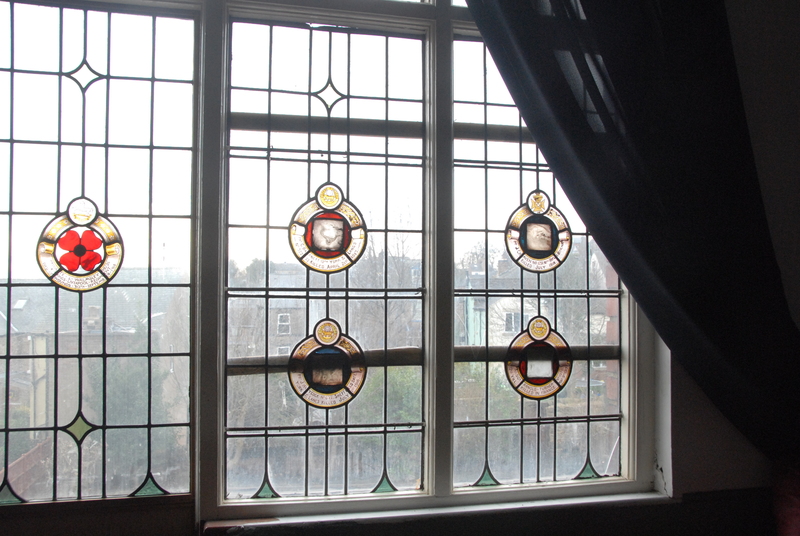 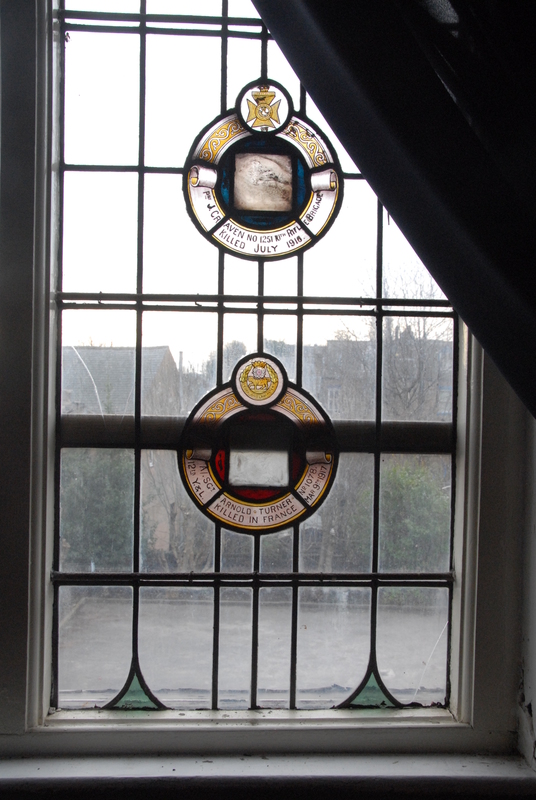 The windows were made and installed in 1918 to commemorate the nine dead men of the Walkley Reform Club. 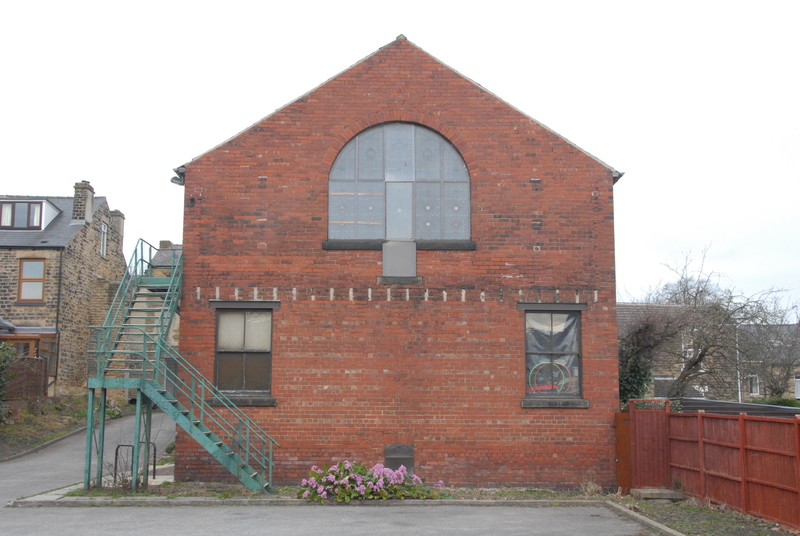 The men remembered are George Barnett, James Craven, Frank Hartley, Isaac Haycock, Frederick Moses, Archie Shelley, Arnold Turner, Arthur Wall and Leonard Walmsley. 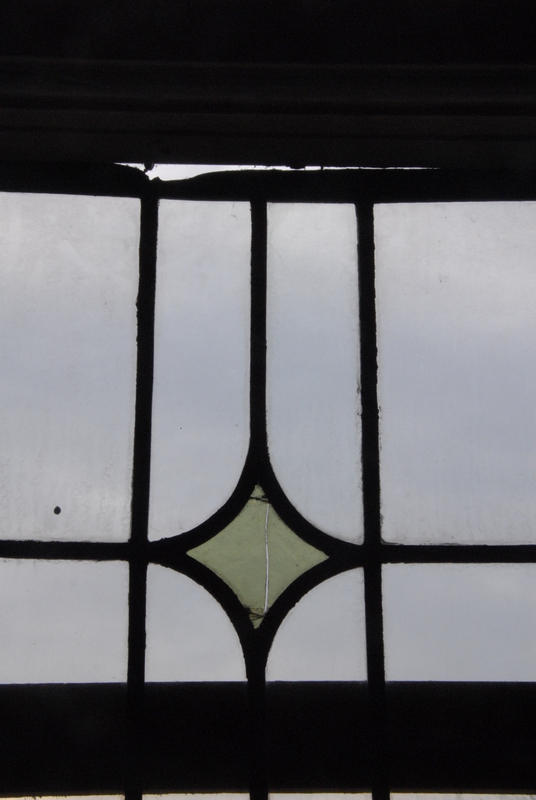 Over the following hundred years they have suffered due to wear and tear in such an exposed location – high up on the gable of the centre. 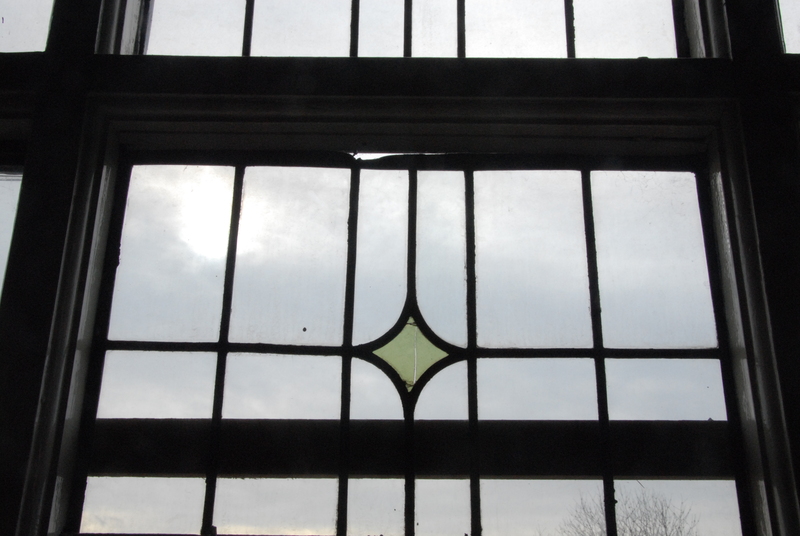 Wind and rain have loosened the panes, since protected with plexi-glass. 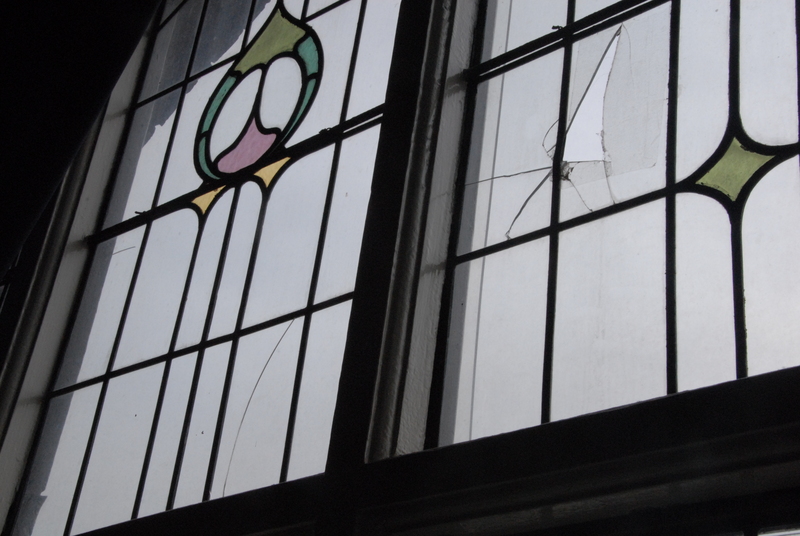 Some panes have slipped into the rotten windowsill. 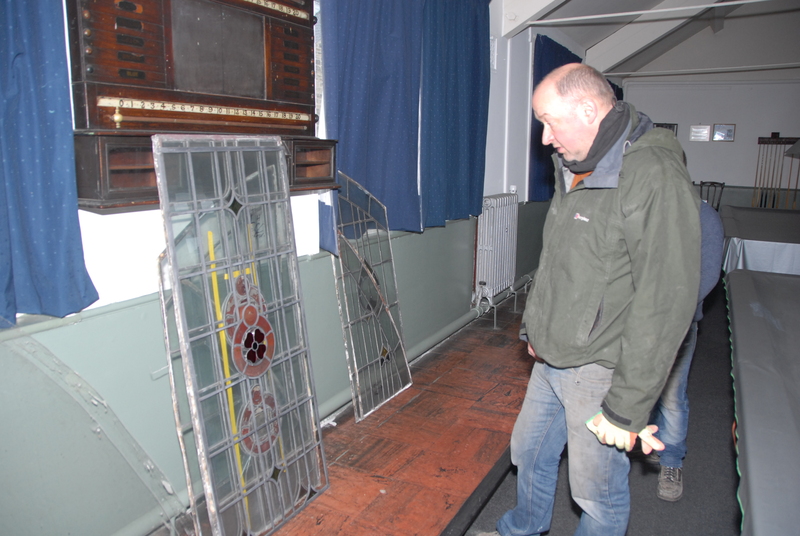 The lead cames have deteriorated and some panes have been broken. 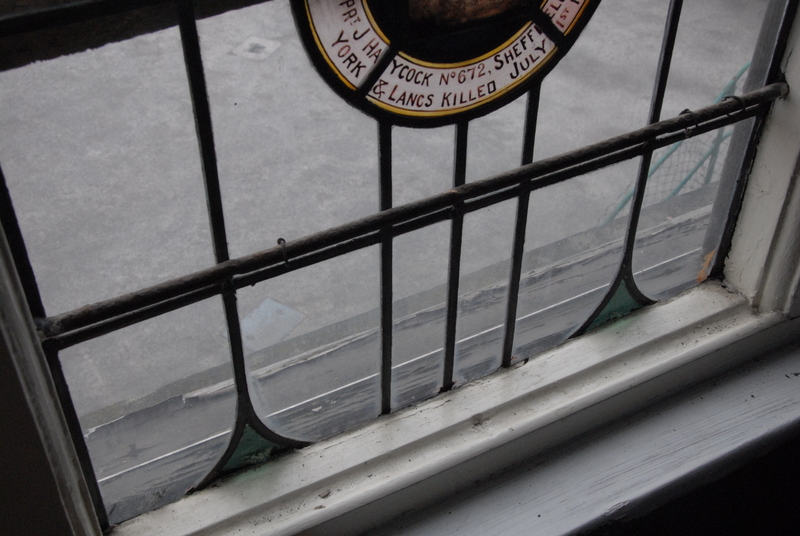 Each memorial originally had a photograph of the dead man, with the possible exception of Leonard Walmsley. 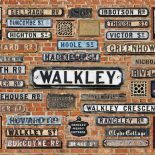 Since November 2012, Walkley Historians have been researching the lives and service of the nine men. 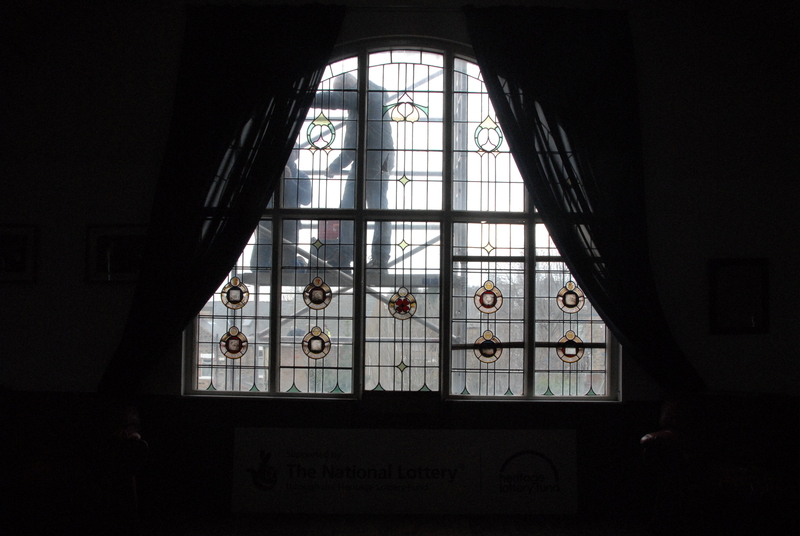 We have tracked down 5 photographs to reinstate these. 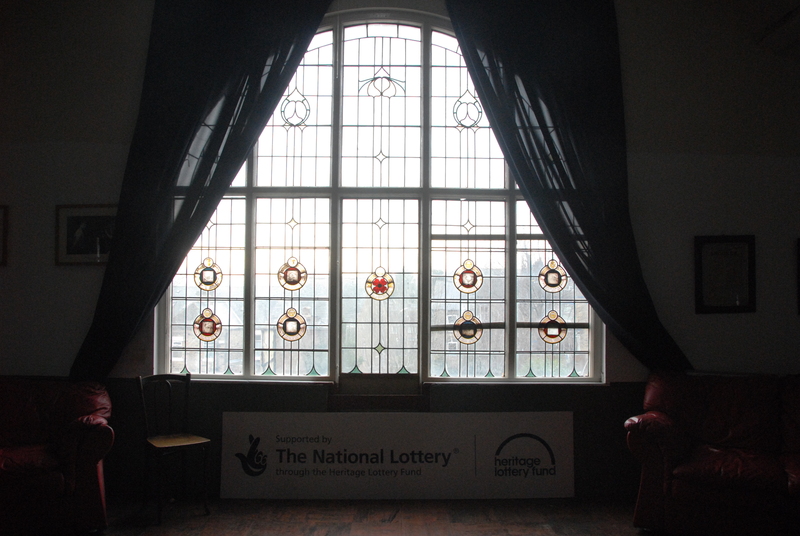 The newly restored windows will be unveiled on Sunday 3rd August. 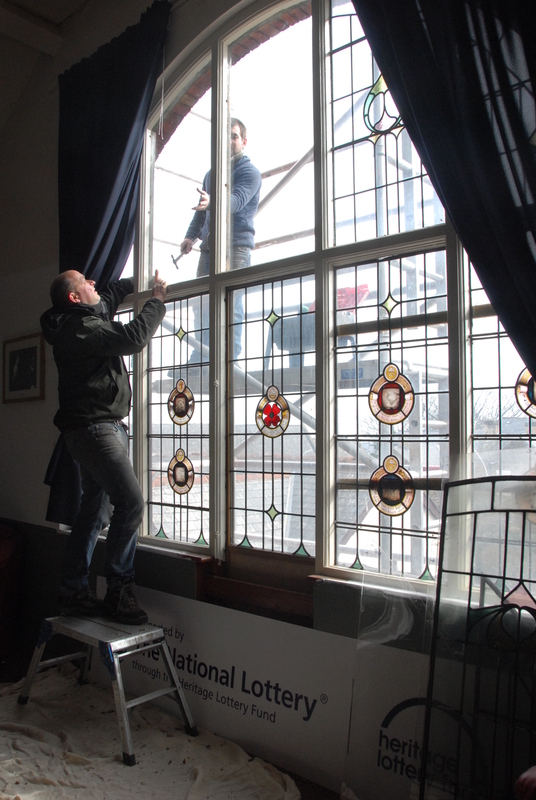 Following a rededication ceremony for family and researchers, the windows will be open for public viewing between 3pm and 5pm. 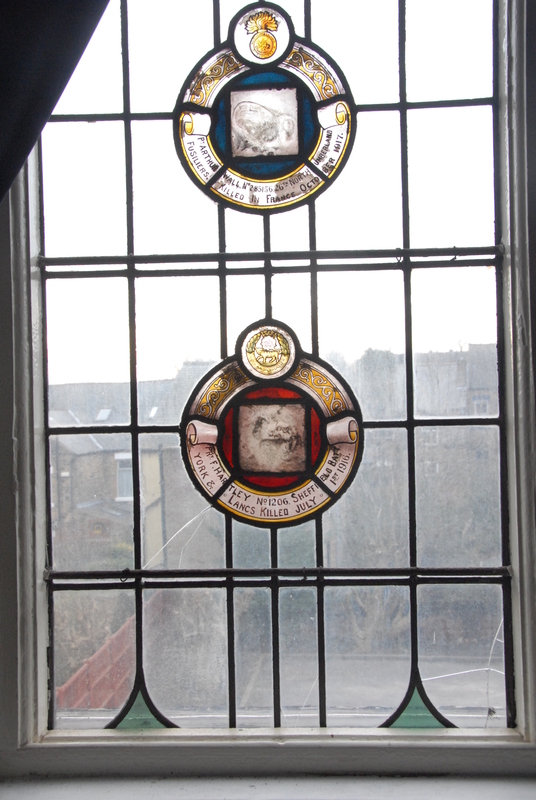 This entry was posted on March 24, 2014 by Bill Bevan in First World War, News.